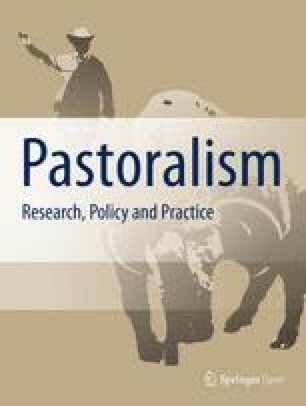 The paper describes recent changes in pastoral systems in Italy and provides an assessment of current farming systems in marginal areas of the country, where extensive livestock rearing still represents an option. Despite public financial support, rural farming in marginal areas increasingly has to find its place within the wider society, integrate into wider markets, support employment and diversify income generation. Provision of environmental as well as recreational services is increasingly complementing quality food production. The heterogeneous Italian landscape provides important opportunities to better integrate crops, trees and livestock into increasingly sustainable agro-silvo-pastoral systems. The online version of this article (doi: 10.1186/2041-7136-1-26) contains supplementary material, which is available to authorized users. The climate of the southern Mediterranean basin (Maghreb and Mashreq regions) is favourable for livestock rearing. Animals can be raised during the mild winter and slaughtered during the hot and dry season, thus providing a "living bank" for food and cash. Lamb slaughtering, common to all religions in the area, is related to this seasonality. In North Africa, traditional livestock rearing is carried out by transhumants who move the herds over long distances and let their livestock graze also on cereals stubble and inside the maquis (Mediterranean shrubland). There is a difference in the temperate and wetter areas of Mediterranean Europe - including central and southern Italy and its islands - where pastoral systems are more sedentary, and the importance of other farming systems increases. The traditional pattern in the northern Mediterranean basin is an intermediate system based on the integration of forests, tree plantations, and herbaceous crops - with all these resources interlinked by grazing cattle, sheep and goats. Such integrated systems were mentioned by writers during the Roman Empire, like Catone (De agri cultura, second century B.C. ), Gaio Plinio Secondo (Naturalis Historia, first century B.C. ), and Varrone (De re rustica, 37 B.C.). The presence of a rural landscape with agroforestry associations of trees and cropped fields is clearly visible throughout the Middle Ages and Renaissance, in details of paintings by for example, Beato Angelico, Vasari, Mantegna, and Giotto (Sereni 1987). Important changes are currently affecting such landscapes, in both agro-ecological and socio-political terms (Nori et al. 2009; Gertel and Breuer 2010). In this article, we will look into these changes in the Italian context. Traditional pastoralism in Italy includes transhumance patterns, with seasonal moves of livestock from the pastures of flat and mild areas to the temperate mountains (the Alps in the north and the Apennines in the central and southern parts) during late spring and summer, and returning back at the beginning of autumn. While sheep and secondarily goats are common in the central and southern Apennines (including the Apulia plain and the Matese Massif in Molise) as well as in the islands (like Barbagia in Sardinia), cattle mostly predominate in the northern regions and in the flat and hilly areas of central Italy, including the Tuscan Maremma and the plains of Latium. These systems have persisted in the Italian territory for at least 2,000 years and have triggered gradual changes of traditional transhumant communities, which are now employed in modern agriculture. The extension of such movements has consistently decreased in recent decades and livestock movements are now limited to vertical transhumance within the same region, with the livestock stabled in the plains from autumn to spring and moved to mountain pastures during summertime. Cross-regional transhumance is still practised to a limited extent in the northern Alpine regions and in the Abruzzo, Molise and Apulia cluster (central Italy); sheep or cattle are moved on trucks from one seasonal grazing area to another. The costs of such moves are covered by local municipalities as a contribution towards supporting tourist activities as well as to preserve some pastures from abandonment (Staglianò et al. 2000; Corti et al. 2006, 2010). Many changes have taken place in Italian society and its economy since the 1950s. Industrialization, urbanisation, rural out-migration and one of the lowest birth rates of the world have resulted in the intensification of agriculture and animal rearing activities and their concentration in certain areas. Italy has around 29 million ha, of which two thirds are arable and the rest consists of mountains or poor forests on steep slopes. Agricultural land has lost five million hectares from 1961 to 2006; in the same period pasture land increased as a proportion of the agricultural area from 24.5% to 28.2%, but has reduced in comparison to the forest areas, which have increased by about one million ha (FAO 2011). Such important reorganisations of the rural areas have been accompanied by considerable reductions in the size of the herds and flocks (Table 1). In the five decades between 1961 and 2009, cattle numbers were reduced by more than one third. Sheep numbers increased initially due to immigration of shepherds from the island of Sardinia and because this small ruminant is easier to manage than cattle; sheep numbers later decreased to less than in the 1960s. Goat numbers were slightly reduced, while asses and horses have always played a limited role in the countryside. These changes allowed the re-introduction of trees in pastures, in cropped fields, and to the diffusion of specialised tree plantations. These figures hide the fact that livestock have mostly disappeared from pastures and are being shifted to intensive rearing in stables. This has meant some abandonment of certain grazing areas as well as of marginal cropped fields, the return of trees and shrubs in pasturelands and in marginal farmlands, and the natural conversion of abandoned areas to early stages of forest. Although pasture management is diversified from north to south, under-grazing is a normal condition in the north and central-northern regions, whilst under-grazing with patches of over-grazing is present in the central-southern regions and in the south. Shrub encroachment has started gradually, due to reduction in grazing, with biomass accumulation increasing the risk of fires (Talamucci 1993). At the same time, food production systems have increased their degree of integration with other sectors of the modern economy, bringing a diversification of farm incomes, increasingly based on modern integrated systems (Pardini 2006a, 2009; Pardini et al. 2008, 2009). Today, it is possible to distinguish between: (a) conventional systems - with different levels of complexity and entirely oriented to food production, (b) integrated systems - based on links between conventional agricultural with other sectors of the economy through on-farm services like tourism, game hunting, educational activities, social agriculture (that is the integration of agricultural activities with services related to medical care and to rehabilitation of disabled and retired people, as explained below). The evolution of integrated systems offers rural people the opportunity to diversify their incomes and contributes to the survival of marginal farms. The concept of multi-functionality is introduced, which indicates that a number of functions are associated with the rural environment - food production, environmental conservations and, contemporarily, the offer of on-farm services - and this in turn helps to diversify the income sources of the rural producers. Hence, integrated systems need different overall management than previous conventional ones, as their outputs are different. As part of the wider European Union (EU) Common Agricultural Policy (CAP), Italian agriculture currently receives subsidies that aim to favour the sustainable management of rural areas and to limit further land abandonment, which typically affects marginal hilly and mountain areas. Abandonment is estimated to occur in 45% to 75% of the land area in Alpine areas where the abandonment is generalised, and 30% to 70% in the Apennines, where abandonment of certain areas is paralleled by over-use of others. Most livestock rearing using pastoral practices in marginal areas has been converted to more intensive systems with livestock mostly reared in barns, relying on specialised forage production from more fertile areas. Environmental diversity as well as the various tree-crop associations introduced in different historical periods has contributed to enhancing the variety of agro-silvo-pastoral systems in Italy. Livestock becomes in such cases part of a wider production system which closely integrates the different factors - trees with herbaceous crops and/or animal grazing - with important changes in management skills and patterns. A classification of farming systems which accounts for such features in Italy is proposed (Table 2), on the basis of the systems' aims and complexity, based on their degree of diversification, as well as on the degree of integration of the different productive factors (Pardini and Rossini 1997; Pardini 2002a, b, c, 2006a, b, 2009). Due to the higher resource diversity and lower degree of specialisation, complex and integrated systems are more stable than conventional ones when it comes to ecological conditions (more biodiversity), productivity levels (produce availability is distributed over several months and the presence of different species compensates for climatic variability), and social relationships (labour force opportunities and demands are better spread through the whole year rather than concentrated in a few months). Table 3 introduces the main types of associations between forest and crop components and their role for livestock rearing in complex systems in Italy. Hobby farms, retired people. Fruit trees associated with vegetable crops. Small animals can be present (usually geese and hens). Flat or hills on low slopes. Small-scale farms and commercial farms, cover crops for green mulching or winter grazing with sheep, common also in vineyards and olive groves. Flat areas. Commercial plantations with colonisation of resident species (native cover crops), grazed by cattle or sheep. Mostly in hills. Thinned out forests, sown firebreaks. Grazed with native cattle breeds. Flat areas in very developed areas. Frequently pine forests. Parks nearby towns with occasional animal grazing from nearby farms. Flat areas with extensive agriculture. Around fertile and large cropped fields. Marginal areas, hills, small flat areas. Few trees left in opened areas mainly for shade, sometimes green leaves for browsers. Hills and low mountain areas. Grazed by sheep or cattle in summer or winter, after chestnut harvesting. Few farms in marginal areas. Forage trees planted in rows with pasture, grazed by native cattle or sheep. Species that produce also fruits. Mostly used Morus alba in central Italy, examples of Opuntia ficus-indica in the south. In more intensive and specialised cropping systems associated with livestock feeding, trees are mostly present as windbreaks at the edges of fields. The main tree species associated with livestock rearing are chestnuts, poplars, hard wood plantations, Mediterranean oaks, pines and fruit plantations. These form either native or planted stands, with chestnut forests in mountain areas, poplars and hard wood plantations (including especially cherry, walnut, oaks of temperate climates) in the plains, Mediterranean oaks in the plains and low hills, pines in mountains or near to the coasts according to the different species, fruit plantations of various species (including olives and vines, especially Citrus and hazelnut in the south) are common in flat, hilly and mountainous areas (fruits of temperate climates). The Mediterranean maquis becomes part of agro-silvo-pastoral systems over large areas (Talamucci and Chaulet 1989), though a few exotic species have been planted in flat or mountain areas. Hardwood plantations became common after the 1970s, when wood price started to rise rapidly. Most common species are Cerasus avium, Juglans regia, Quercus petraea and Q. robur. Weeding is a consistent management cost, important to reduce competition, and can be reduced if livestock grazing is introduced when trees are already grown enough to not be damaged by the animals. Quercus pubescens, Quercus cerris, Quercus suber, Quercus ilex are Mediterranean oaks found in mixed forests in central and southern Italy (Bernetti 1995). These forests are frequently components of silvo-pastoral systems that integrate several resources within the farm. Some of these forests are thinned out to allow cattle or sheep grazing, others are being converted to parkland forests. The shrubby under-storey comprises many palatable and some unpalatable species, but not much pasture because only scattered light penetrates the tree canopy. These forests are grazed in summer, when livestock seek green leaves and shade, and in winter when the tree stands protects the animals from cold winds (Gambi 1982; Bagnaresi et al. 1984). Pinus pinea and Pinus pinaster, sometimes Pinus nigra plantations or residuals of native Pine forests, are sometimes converted in park forests (Bianchi et al. 2005). The under-storey is rich in palatable plants but also some unpalatable shrubs and very few pasture plants. Forage production in these plantations or forests is not enough to sustain grazing, but they are visited occasionally by livestock from nearby farms. These forests, owned either by private farms or public administrations, are part of silvo-pastoral systems as an external farm component. A better integration of these forests with periodical grazing could reduce shrub growth and consequently reduce fire risks and the costs of periodical mechanical clearing. Fruit plantations are normally specialised, however winter grazing sometimes occurs, by livestock from nearby farms. This reduces mowing costs and increases soil fertility. Despite the variability of forests due to the physical environment, forage production of forest under-storeys remains low in all the forest types considered above. For example, the annual pasture production in the Mediterranean oak forests is low; also in thinned out stands (1 to 2 t DM ha-1) despite the presence of some good pasture species like Vicia spp., annual medics (Medicago orbicularis, Medicago ciliaris, Medicago plolymorpha) and clovers (Trifolium repens, Trifolium subterraneaum sensu latu, Trifolium pratensis) and grasses (like Dactylis glomerata, Festuca spp. Bromus inermis), moreover shrubs like Arbutus unedo, Acer spp., Ulmus campestris, Carpinus spp., resprouts from felled oaks, can contribute with 2 to 4 t DM of leaves per hectare which are palatable especially for native cattle breeds (examples are Piemontese, Marchigiana, Pisana, Chianina and Maremmana, long-legged breeds that can graze in the rough vegetation easier than other modern but short breeds. This is especially true for the Chianina which is a tall species and also the biggest in the world, and the Maremmana breed whose very large horns permit breaking of shrubs and small trees and consequently the passage of the animals in the low forest and maquis), whilst sheep eat only young and low-growing shrubs (Pardini et al. 1987). The livestock spend most of the year on farm pastures and move into the forests in summer and winter. During these seasons, they are also fed with hay and silage that is normally produced from forage crops on the same farm. In most of the forest cases described, timber, firewood and herbage alone cannot generate sufficient income to keep people on their land. Consequently, some managers have favoured the reduction of forest density (selective cutting or geometrical clearing) or the planting of trees into pastures (with maximum tree canopy cover up to 20% to 30% of the soil area) to develop new income sources from farm-tourism, educational services for school classes and game hunting. Important changes in Italian society are accompanying the modifications affecting the pastoral landscape in Italy. Socio-economic conditions of extensive livestock systems have not been favourable to producers for the last few decades, with a trend of decreasing payoffs for meat and milk products. This has meant consistent out-migration and ageing of the traditional pastoral population (Susmel et al. 2004). As a result, for the last two decades most shepherds accompanying and caring for grazing animals in Italy are actually migrants from northern Africa and eastern European countries. The first in-migration of this kind was mainly from Morocco and Tunisia, whose semi-arid and arid lands have quite different agro-ecological characteristics in comparison to Italy. According to interviews with herd owners, the skills acquired by these migrant shepherds in their native countries resulted in over-grazing; such excessive intensity of use has favoured the employment of shepherds who came mainly from Macedonia, Kosovo and Montenegro and, still according to Italian herd owners, appear more knowledgeable about appropriate management of Italian pasture resources. Young herders from foreign countries are nowadays an important labour source for Italian pastoralism, and indeed represent one of the main resources supporting the management of marginal territories in the country. The foreign herders represent a specific niche of the increasing presence of foreign labourers in the Italian countryside. In some areas, it is estimated that about 10% of rural workers come from non-EU territories; that is 90,718 non-EU citizens in comparison to 1,037,116 Italians in 2008, though these figures are may not be reliable due to significant levels of non-formalised foreign workers, also with variations between regions and work sectors (Coldiretti 2011; Veneto Lavoro 2011). These patterns are found throughout the country and are particularly noted in the central and southern regions, which used to be themselves areas of population out-migration until a few decades ago. This is the case for regions such as Sardinia, whose herders had for decades moved off the island to provide their labour in the pastures of Tuscany, Latium and Abruzzi regions. Nowadays even in Sardinia a large proportion of the shepherds come from non-European Mediterranean regions. For example, in Abruzzi, a large majority of the herders are of non-Italian origins, up to 90% in certain areas (Coldiretti 2011). Although agricultural workers receive low wages and consequently this work is not attractive for young people, in some cases, the seasonal shepherds in the Alps are fairly well- paid; nonetheless, very few Italians are available for this job because of the remote locations in which shepherds have to stay for 3 to 4 months under harsh living conditions. Avoiding heavy or solitary jobs is a pattern noted also in other parts of the world (Pardini et al. 2002b). Admittedly, without such new entrants from abroad, pastoralism would not exist anymore in certain Italian areas and livestock would be kept only on intensive farms and would have disappeared from the Italian landscape. Despite the important economic, social and environmental functions that shepherds play, the living conditions as well as the economic benefits and the social rights enjoyed by these shepherds are often borderline. The challenges of social integration and landscape conservation go hand-in-hand in this regards. Primary agricultural production in Italy, even when intensified with the introduction of modern technologies where possible, is not sufficient to make income levels attractive enough to induce people to remain in rural areas. Multi-functionality of agriculture activities and the diverse association of trees, crops and livestock thus represent important means for raising the value of Italian agricultural lands (Pardini 2005, 2006b; Pardini et al. 2008). According to this point of view, the management of agro-silvo-pastoral systems should maintain an agronomic orientation while simultaneously taking into consideration the added value of quality foods and cultural uses of the land (Pardini 2007). On the basis of European regulation (Reg. CE 1257/1999 and later Reg. CE 1968/2005) Italy has passed laws that favoured landscape variability, complex agro-silvo-pastoral systems and in support of land use diversification through forms of service provision (Italian law 228 issued on 18 May 2001). Such regulation also provides support to integrated and organic agriculture with the aim of enhancing the management of the rural areas for environmental conservation, landscape beauty and conservation of biological diversity. The same directives have been acquired also in the Rural Development Plans approved by some regional governments. These changes in the national and regional legislation will promote the association of trees with pastures and cropped fields and, in turn, further favour the organisation of agro-silvo-pastoral systems. Livestock and crops grown with environmental friendly methods (low external inputs, little or no use of chemicals, certifications of organic or biodynamic produce) may be considered healthier than those produced intensively. A steady number of customers is attracted more by good foods from natural systems than from cheap intensive produce; the existence of customers willing to pay more for quality can outweigh lower agricultural productivity. A consistent number of Italian customers are willing to spend about 15% to 20% more for foods grown in a natural environment or with low input agriculture than for foods grown with intensive methods (Longhi and Pardini 2008). This is an interesting added value for low input, organic and biodynamic farming. Collective action from both the producers' and the consumers' sides are critical assets in this regard. Italy has the highest number of PDO (Protected Denomination of Origin) and PGI (Protected Geographical Identification) foods among the EU countries, with over 4,000 such foods, including a large number of animal products (Manzelli et al. 2010). Tourism can generate important incomes in rural areas. Agri-tourist activities are driven by a desire to seek contact with nature and also by an increased environmental awareness that has resulted in initiatives like "tree adoption" and "livestock adoption"; giving some money to help the farm preserve the forest or the livestock, in return for some of the products of the adopted item. These cases are scattered over Italy but, nonetheless are becoming more standard (ABI 2007; ACG 2007; Bioagriturismo 2007; De Angelis 2007; GAL Valsugana 2007; Il Roveto 2007; InfoAppennino 2007). Such activities definitely support the establishment of complex and integrated agro-silvo-pastoral systems. Moreover, many farms have developed links with social assistance or medicare systems, which provide easy jobs for retired people and physical or psychological rehabilitation for disabled people, based on agreements with local institutions that give contributions for on-farm-therapy or horse-therapy for retired people or people with minor muscle-skeleton difficulties or problems of socialisation (Molfino 2010; Poletti 2010). The services are based on easy jobs or animal care that encourages body movement or psychological recovery. Such farms are scattered over around Italy, especially in the northern area, but statistics are not complete as this is a new phenomenon (Ferrini 2010; Neonato 2010). For example, in 2003, central Tuscany region had 50 such farms. Some farms have developed teaching and learning activities for school children (Zavalloni and Zavalloni 2001). The present condition of Italian agricultural areas and pastures is complex. Despite possibilities for further increasing land productivity, conventional agricultural systems cannot generate enough income to improve the wealth of the people living in marginal areas. Further land abandonment will occur, unless higher incomes can be generated and better conditions of life achieved. The development of new links between the rural economy and emerging sectors of the national and regional economies are necessary, as rural development will not occur in marginal rural areas in isolation from the rest of the economy (Lusigi 1995). Closer relationships with the rest of the economy will push the agropastoral communities into a more dynamic state, that will possibly increase their incomes and improve their overall social integration while, in turn, contributing to preservation of the traditions related to agriculture, forestry and animal rearing (Perevolosky and Etienne 1999). The challenges of bringing the migrant rural labour force (such as shepherds), properly within the legal framework is an important part of the integration process. While sometimes limiting agricultural intensification, the diversity of the Italian landscape has helped preserving the beauty of the territory and its biological wealth. These assets can be used nowadays to develop complex agro-silvo-pastoral systems, to include the important role played by the association of trees, herbaceous resources and livestock. The management of these systems, based on the variety of land resources and services, strengthens the economic diversification of rural activities and their further integration within the overall national economic development (Gomez-Sal 1997). AP provided the main features of the agro-silvo-pastoral systems as well as the basis of the analysis. MN contributed the parts concerning changes in the production as well as social systems and also contributed to the overall analysis.